Pardon our dust! We are in the process of re-imagining SWDFX.com. 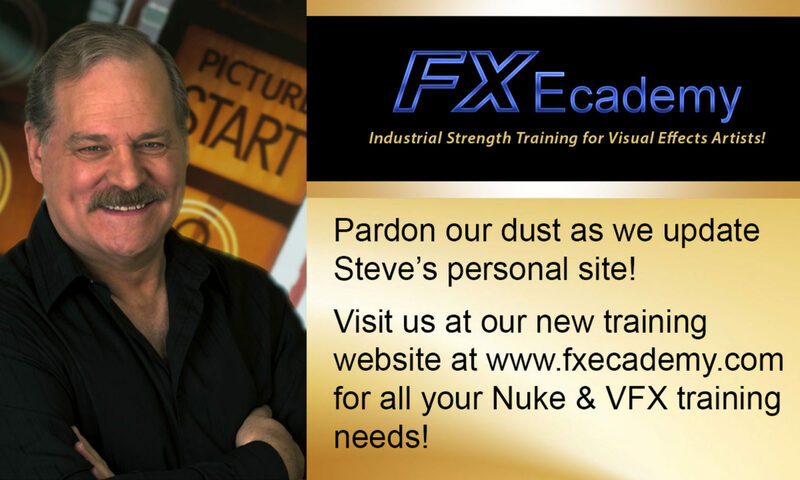 Steve Wright is a VFX pioneer with more than 25 years of experience compositing and teaching in Hollywood and around the world. He has shared some of that experience in his two popular books on compositing: Digital Compositing for Film and Video, which is the industry bible for the sitting compositor, and Compositing Visual Effects: Essentials for the Aspiring Artist, which is a primer about the world of visual effects.